farmer’s market dinner, a photo by a_neelee on Flickr. We’re wiped out from our swim, so dinner is happening early and at the Triangle Farmers’ Market. 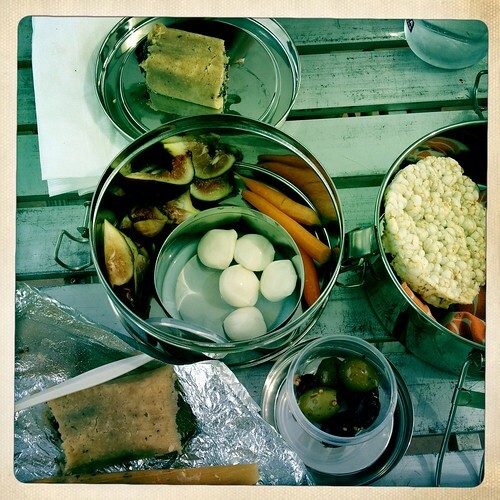 It’s a little snacky – tamales, mozzarella, carrots, olives, figs and honey-nut rice cakes.